The importation of mushrooms into the country is expected to be reduced by 2020 through the continued efforts of the Ministry of Agriculture in training local farmers. Once trained, local farmers will be able to supply locally produced mushrooms for the tourism market. 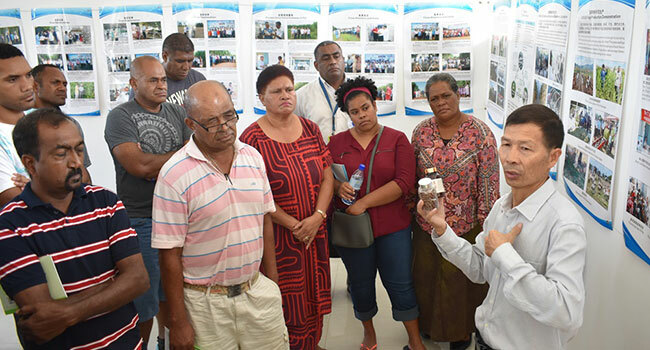 Speaking at a training Course for farmers in Nadi yesterday, Senior Research Officer, Dr. Tekini Nakidakida detailed the phases being implemented by the ministry to ensure reduced mushroom imports. Nakidakida says a survey conducted last year in the Western Division, shows that majority of the hotels buy their mushrooms from overseas and they have shown interest in buying local ones. He adds that the onus is on local mushroom producers to be able to meet the demands of the market. There are more than 60 farmers growing mushroom on a large scale, with continued interest in mushroom production coming from Central and Western Divisions. Meanwhile, the second phase of the project will include more promotion and awareness of mushroom to the farmers and stakeholders, the establishment of cluster groups for the production and establishment of the mushroom industry, the use of the JUNCAO grass to improve livestock and the use of the grass in environmental conservation in Fiji.